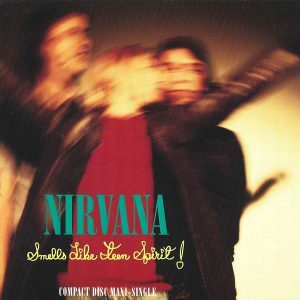 The “Stairway to Heaven” of Generation X, “Smells Like Teen Spirit” has been dissected, analyzed, parodied, discussed and played so many times over the past quarter-century that there’s probably no way for me to say anything new about it. It’s one of those songs that is almost impossible to hear fresh, to hear without the baggage of what it represented back then and the baggage of what it may or may not represent today. But that doesn’t mean I ain’t gonna try!